Happy Cinco De Mayo my friends. 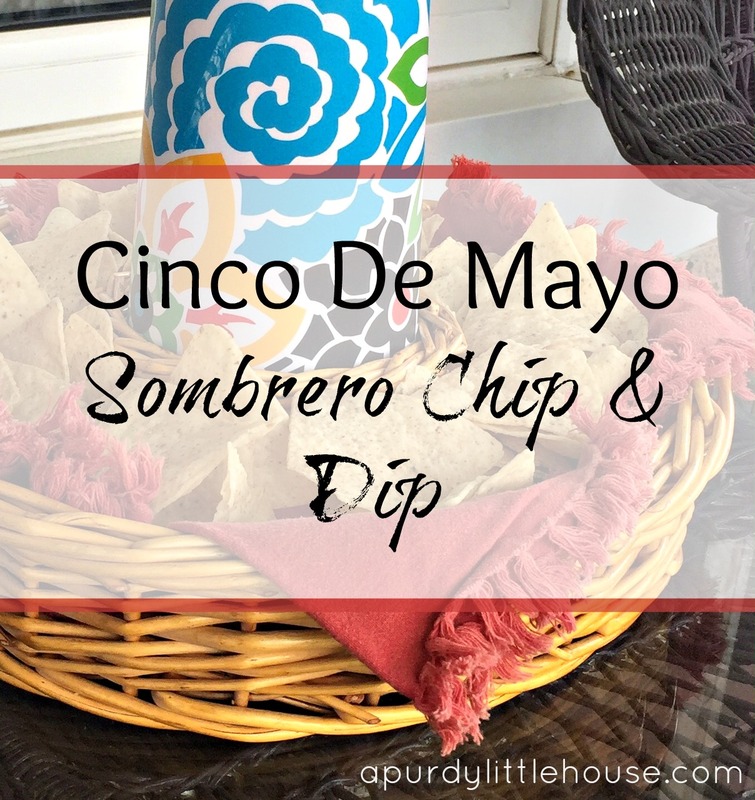 I have a quick post for you guys today featuring a quick and easy way to transform a simple basket chip and dip tray into a Mexican sombrero. Ole!!!! I love Mexican food, and will jump at the chance to eat chips and salsa. Yummy!!!!! 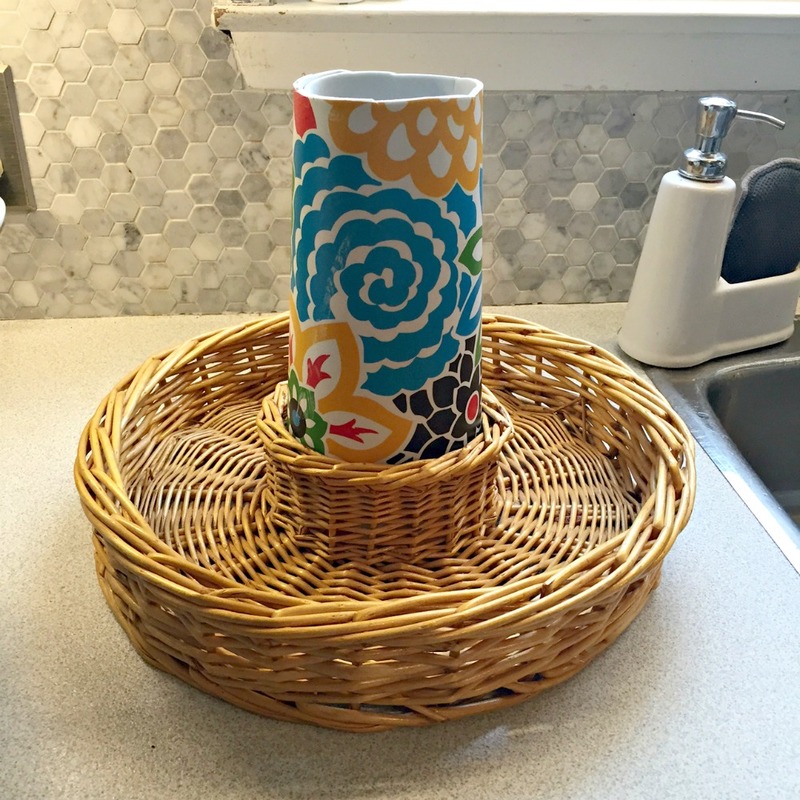 I picked up this chip and dip basket tray for $1.00, and then found this colourful placemat at the dollar store. 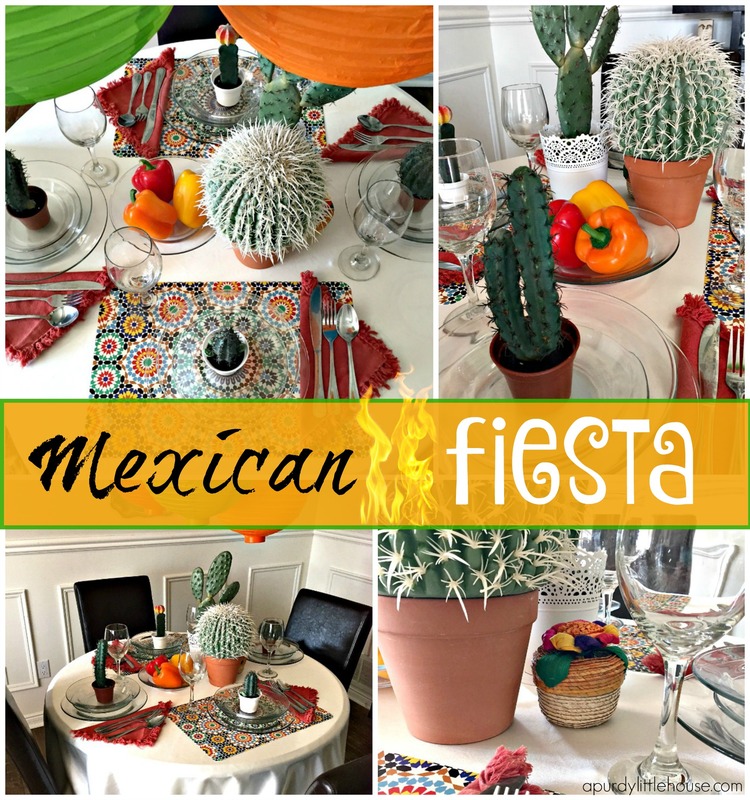 I like how the colours on the placemat are reminiscent of the colours and tones typically used in Mexican decor. 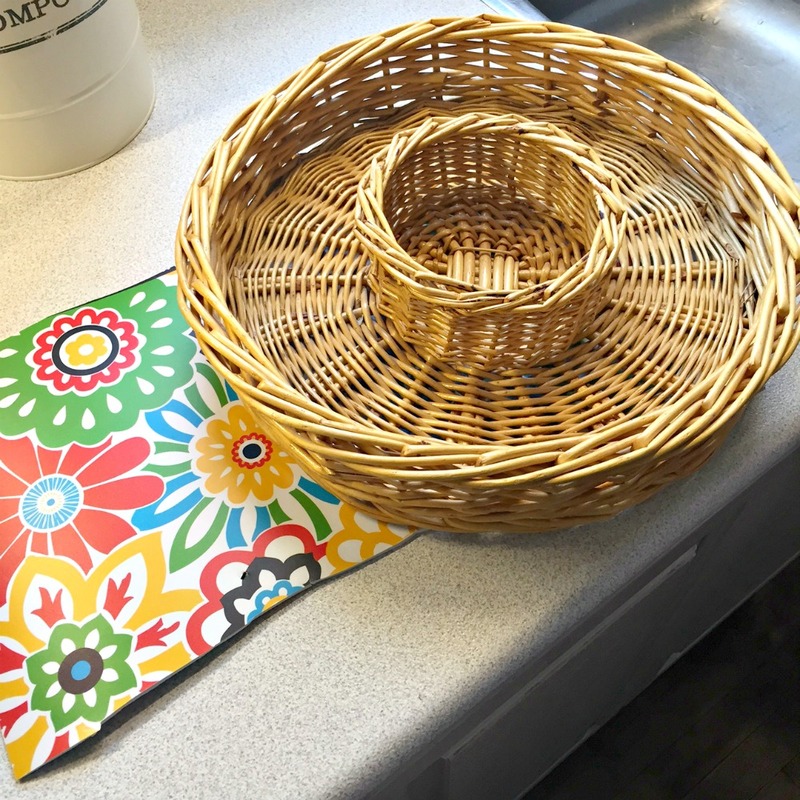 For the top of the sombrero, I cut the placemat to size and then glued the back to secure it in place. This was then fit into place in the center of the basket. 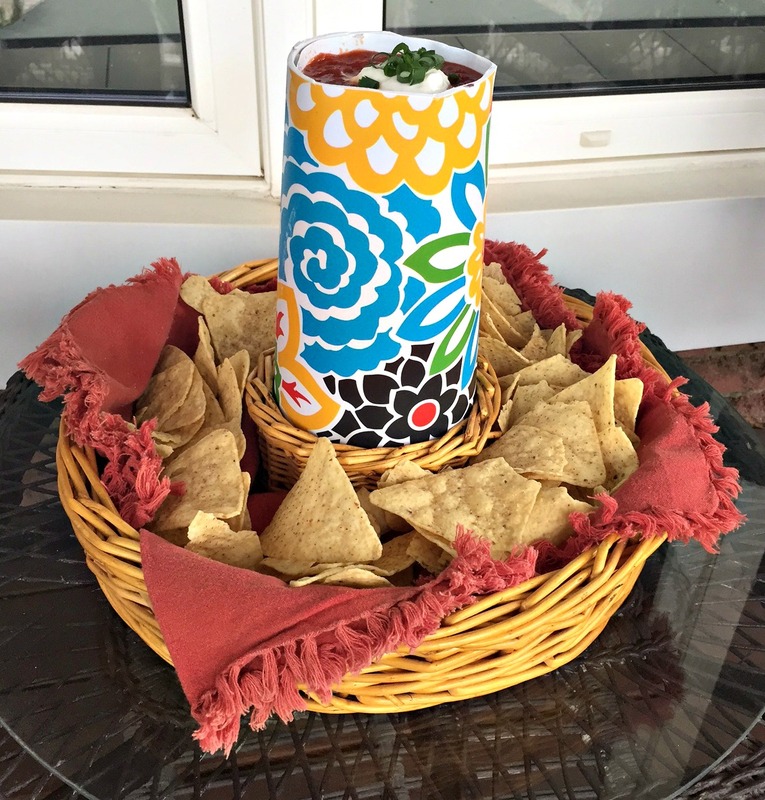 For the top of the sombrero, I needed to come up with something to hold the salsa that would fit into the top of the plastic placemat. 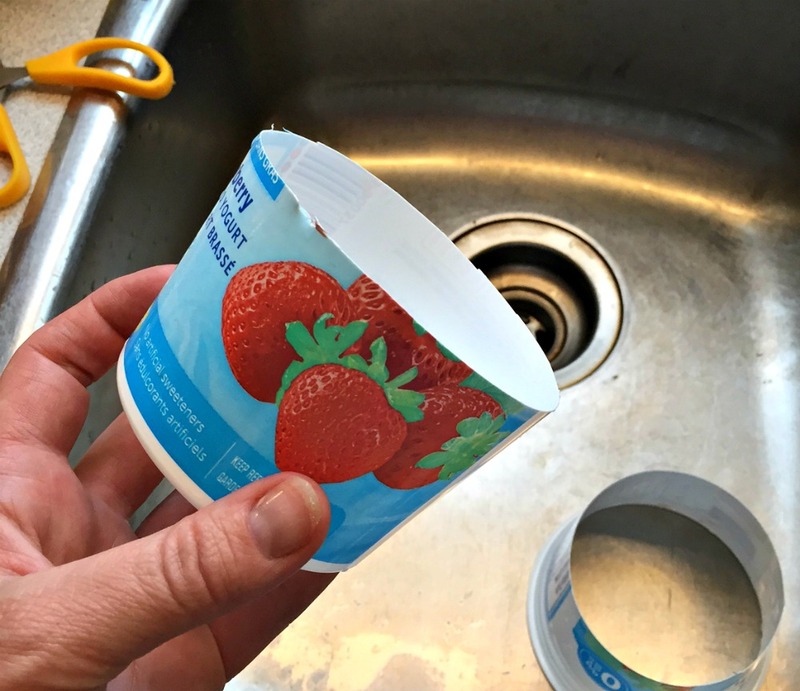 So, I went looking in my recycling bin and found a yogurt container that fit. 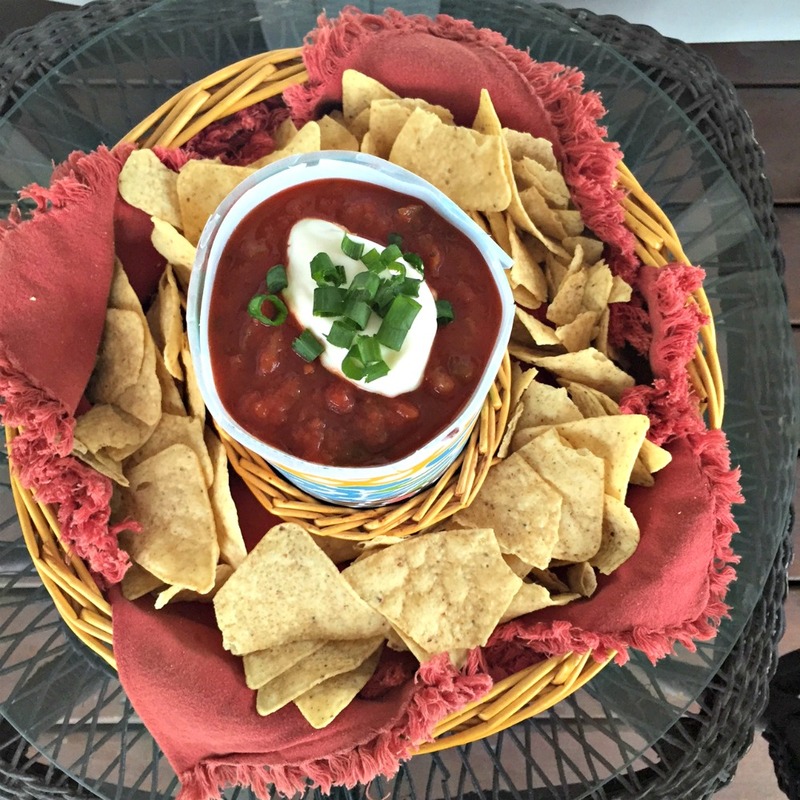 I just cut it down to size, and voila… SALSA BOWL. 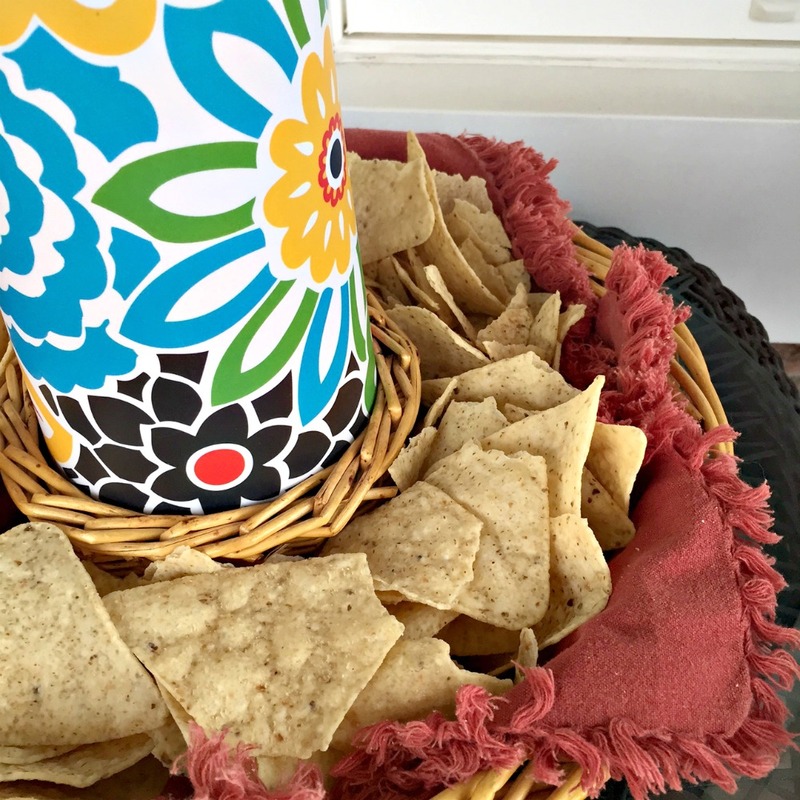 I added some napkins inside the basket before putting the chips in. This step could have been done with paper napkins too, but I only had fabric on hand. This also gives a chance to add in some fun colours to the sombrero too.